Airlines: Airline strikes are relatively common in Europe, and Italy, France, and Germany have all experienced strikes by air travel workers over the past year, leaving travelers to deal with flight changes and cancellations. The good news is that they are usually announced well in advance. If you are notified of an upcoming strike, be sure to keep up to date about your flight changes. To help our travelers deal with strikes or other events affecting their air travel, we use a service called The Cranky Concierge to monitor the flight itineraries of our travelers. The Cranky Concierge keeps our clients updated on potential delays, changes, and cancellations, and intercedes with assistance when and if any problems arise. Remember that not all airline personnel strikes mean flight cancellations: a recent baggage handler strike in Rome had no effect on flight schedules, but did affect luggage pick up. In this specific case, those who planned ahead with strategically packed carry-ons were able to avoid delays. Trains: Train strikes are also a common occurrence in Italy, and can lead to headaches when trying to travel by rail between Italian cities. The Italian Railway Company (FFSS) also operates a number of local and long-haul bus and coach routes and ferries between the Italian mainland and its islands, so a train strike can also affect road and sea travel, as well. 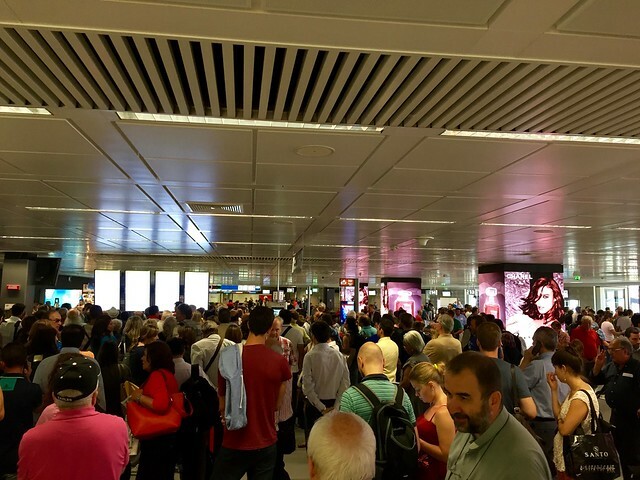 Though it may seem to foreign travelers that train strikes are random and unannounced, transport strikes in Italy are scheduled in advance and made public in the media. In addition, a few “essential” trains, buses, and ferries continue to run during the peak rush hour morning and evening hours by law, and strikes rarely last more than twelve hours. If you find that you have train travel planned during a strike, try to tweak your itinerary and shift your train trip to before or after the strike. Though you can pre-book tickets for a guaranteed train running on the day of the strike, those few trains that run are uncomfortably crowded and often late. A much better option is to shift your travel day or opt to travel by rental car or chauffeur service instead. Taxis: In Italy's largest cities, taxi strikes can snarl traffic, overtax public transportation, and make it hard to book private car services. If you are traveling during a taxi strike, make sure to factor in extra time to travel from place to place within the city and book a chauffeur service far in advance if you need to be somewhere on time (the airport, for example). Museum staff: Most state employee strikes have little or no effect on travel plans, with a couple of key exceptions. The most important includes closures to state-operated museums and archaeological sites where the ticket window, gift shop, and guard staff are public employees. These strikes are often hard to find out about in advance, though if you are visiting with a professional guide, he or she will certainly know about any closures and be able to help you reschedule. Gas stations: Gas stations rarely strike, but when they do, it can cause major inconvenience for travelers getting around by car. As with transportation strikes, gas station strikes are announced days ahead of time and you can see drivers lining up to top off their tanks before the pumps are locked down. The chances are that you will never run into a gas station strike, but if you start seeing “sciopero” signs and cars queued up, make sure you fill your tank. Toll booth operators: When the toll booth operators strike, everyone gets a free ride on Italy's toll highways. Enjoy it! Strikes are often accompanied by marches and demonstrations in the major cities. These public gatherings are almost always peaceful, if a bit chaotic, where families participate, speeches are made, banners waved, and often concerts and entertainment is organized. They can shut down traffic in sections of the city, however, and tie up public transportation and pedestrian flow. In general, it's a good idea to avoid the demonstration area for convenience sake, but not because of safety concerns. The staff at Italian pharmacies are all university-educated pharmacists, and are highly knowledgeable about all manner of ailments and illnesses. If you are suffering from a simple muscle sprain, annoying cough, or sick tummy, your best bet is to head to the nearest pharmacy. Many pharmacies in Italy offer both synthetic and natural medicines and remedies, and every town and city has one pharmacy on rotation (farmacia di turno) that remains open all night and on Sunday. If you feel like you have injured yourself or are sick enough to merit a doctor's visit, you will need to go to the nearest pronto soccorso. You will be assigned a color-coded classification: code red (codice rosso) for pressing emergencies, code yellow (codice giallo) for semi-emergencies, code green (codice verde) for non-emergencies, and code white (codice bianco) for cases that should probably merit a simple stop at the pharmacy. After you are treated, you will have to stop by the payment office (CUP) at the hospital to pay the €25 emergency room fee and then go to the pharmacy for any medicines or other treatments you have been prescribed. Emergency rooms in large cities and during the peak hours of the day can be crowded and you may have a long wait if you are classified yellow or green. Small town emergency rooms and early morning or late night visits are often quicker. Most younger physicians in Italy speak English well; other medical staff and older physicians may not speak English. The emergency medical number is 118. If you are having a medical emergency, an ambulance will come and transport you to the nearest emergency room for free. If you end up being admitted to the hospital, you will have to produce your US insurance card and pay your hospital charges, but remember, this is national health care! Your hospital charges will be nominal, if you are charged at all. Italy has many specialists who see patients in their private practices. Younger physicians almost always speak English, and most larger cities have a listing of English-speaking specialists online. Expect to pay anywhere from €75 to €250 for a private consultation, as private physician visits are not covered by national health care. Perhaps the most irritating travel hitch is theft or loss of your belongings, especially your purse or wallet with credit cards and passport. Italy has a very low incidence of violent crime against tourists, but pickpockets are active in big cities and small towns alike, so be cautious. 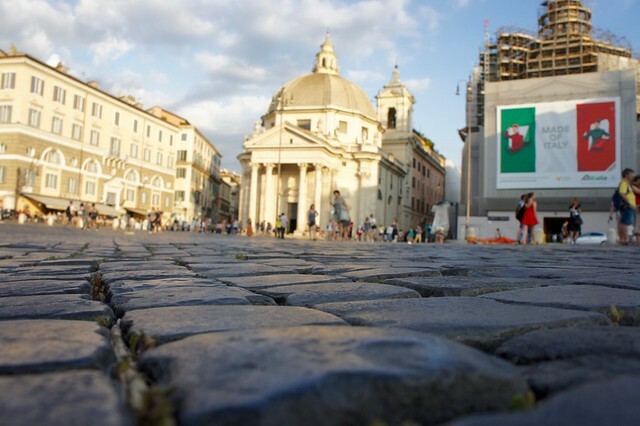 We find that common sense and a healthy dose of caution are more than enough to keep belongings safe while traveling in Italy. That said, you can securely stash your passport, credit cards, and most of your money in a wallet or holder worn under your clothing while keeping a small amount of cash and one credit card within easy reach in a purse or wallet while touring. Otherwise, divide your cash and credit cards between you and your travel companion, so you will have a back-up if one of you experiences loss or theft of your wallet or purse. In addition, before you leave for Italy, note the foreign phone number for reporting lost or stolen cards for each credit card, and make a photocopy of all your cards and your passport, which you should keep separately from the originals. If your wallet or bag does get stolen or lost, do this before you do anything else: search the immediate area, especially garbage bins and hidden corners! Most thieves are only interested in easy cash, not your documents or credit cards. Often, a bag that is snatched or lifted will be tossed in the first trash can after the cash has been taken, and the cards, passport, glasses, medications and other valuables left untouched. If your passport is lost or stolen while traveling, you will have to acquire a temporary passport. Report your passport lost or stolen with the Italian police. You will have to go to the nearest police station and file a report. Contact your airline. If you are traveling within 24-48 hours, inform your airline that you won’t be able to make your flight and explain to them why so you can change your reservation. Contact the nearest US embassy. They will be able to give you information on the documents you need for a temporary passport, including the police report, proof of citizenship, a valid photo ID, a passport photo, and temporary passport application forms. Make a trip to US embassy or consulate. Here you will receive a temporary passport that should only be used to get you back to the US. Once there, you will apply for a new permanent passport. If your credit cards are lost or stolen while traveling, you will have to replace them. Report the theft to Italian police. You will have to go to the nearest police station and file a report. Cancel credit cards within two days to limit your liability and order replacements. All major credit cards have global customer-assistance centers, and you will have to give them the information from the photocopy you made and stored separately. Receive delivery of a new card. Usually within two to three business days your new card will be delivered by courier, and some cards offer a wire service for emergency cash. If your camera, cellphone, or electronic devices have been lost or stolen while traveling, you will have to report it to the Italian police to file an insurance claim once home. Though it's always best to be prepared for the worst when in Italy, be assured that travel emergencies like these are the exception, not the rule. 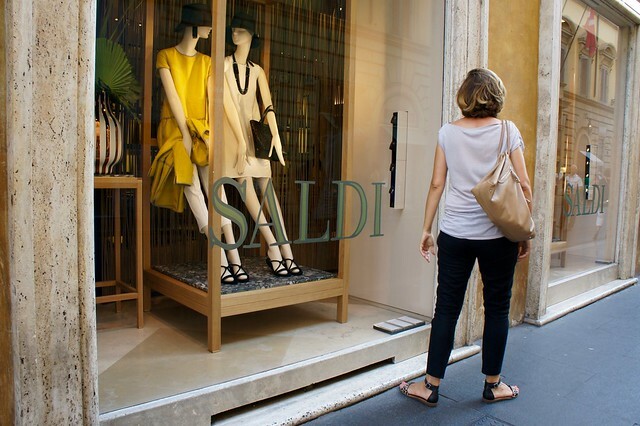 The vast majority of visitors to Italy come back with their wallets, ankles, and peace of mind intact!